LOTR fan? Here are 2 dresses to swoon over. These are great... I sure do like them! Those dresses are so cute! 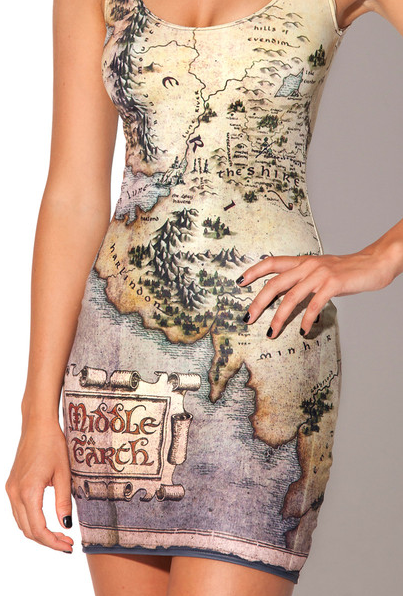 I will buy one for a LOTR fanatic I know. Come say hi and let me know if you wish your fella were more like Mr Darcy! I'm not a fan but I love these. I saw these on Pinterest the other do and thought they were great... not that I would wear them. Know what, I know what you mean. I don't think I could wear them either ... if they were tshirts, I definitely would! I hear ya! The top is my fave too ... !